CEE HydroSystems projects are loaded by selecting one or more .CSC file(s). When there is binary water column sample data available, these are stored in one or multiple CSA files (usually 1.csa). 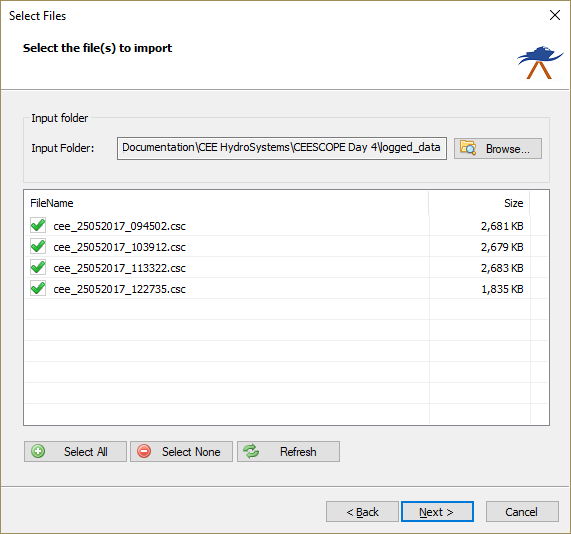 These CSA files reside in a folder with the same name as the CSC file, which is located in the same folder as the project file. You can find these folders in the 'logged_data' folder of your system's SD-Card. VER 3.0.10 3.0.3 3.0.3 "CEE-MB rev 3.0"
DEV 0 NOV628 EXTERNAL CMR+ 0.00 "GNSS Novatel628"
DEV 1 0.00 0.00 1500.0 m/s MANUAL "Echosounder A (HF)"
DEV 2 0.00 0.00 1500.0 m/s MANUAL "Echosounder B (LF)"
All file formats which Hydromagic is able to convert to raw data files, can be imported through the raw data import wizard. To start the wizard, right-click the 'Raw Data' folder in the 'Project Explorer' and select the 'Import Data Wizard...' option. The first page of the wizard allows you to set the format of the file(s) we wish to import. 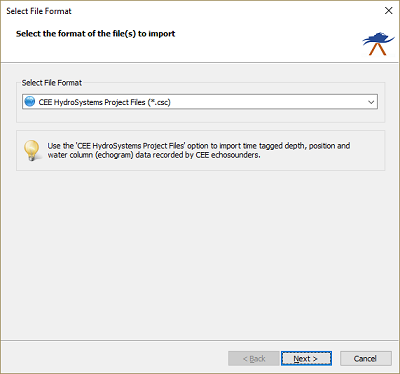 Since this tutorial is about importing CEE HydroSystems data, we select the 'CEE HydroSystems Project Files (*.csc)' option from the drop-down list. In the second page of the wizard you can select which files to import. Click the 'Browse...' button to select the folder on your computer where the files are stored. After changing the folder the file list is reloaded, and you can use the check boxes to select one or more file(s) to import. 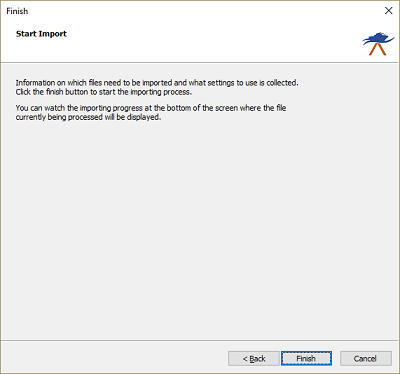 When the format, the files and the additional options has been set, you can start the import process by clicking the 'Finish' button on the last page of the wizard. 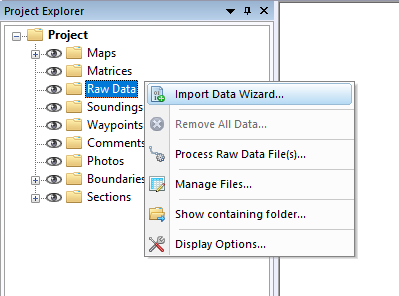 The file currently processed is displayed in the status bar at the bottom of the screen and the wizard shows a message box stating 'File(s) successfully imported as raw data file(s)' as soon as the process has completed. Click 'OK' to close the dialog and the imported files will be centered in the map view (only when they contain position data). When the import has completed, you can right-click the generated raw data files, and select 'Analyze Data...' to inspect the imported values and timestamps. When binary water column sample data has been imported from one or more CSA files, this data can be viewed by right-clicking the raw data file and selecting the 'Digitize Echogram...' option.